A collection of metal, long handled spoons. 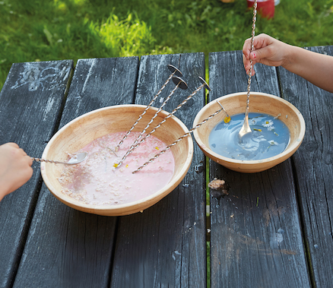 These spoons are the perfect addition to your messy play area. Use them to mix special ingredients for your mud pies. They are also ideal for developing the pincer grip required to hold a pencil. Develop fine motor skills and engage children with these lovely, unusual spoons.